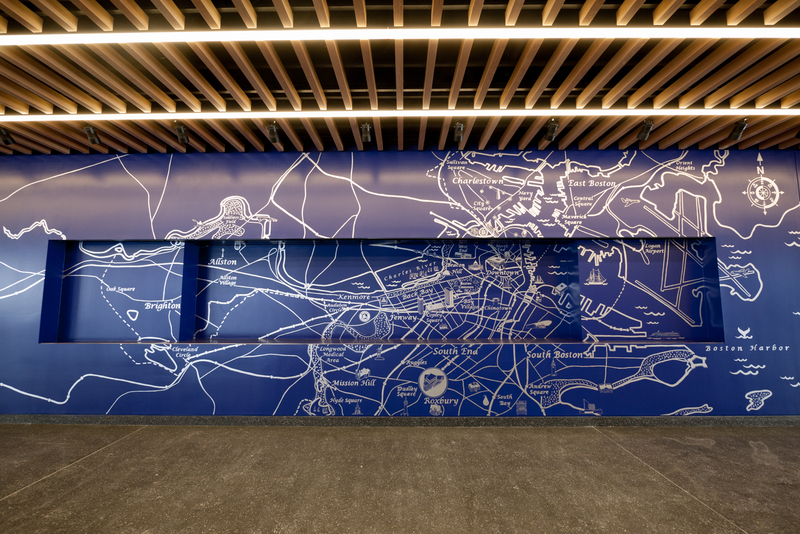 We were recently commissioned by Josh Winer to work on a fun new project at the new Bruce C. Boiling Municipal Center in Dudley Square. 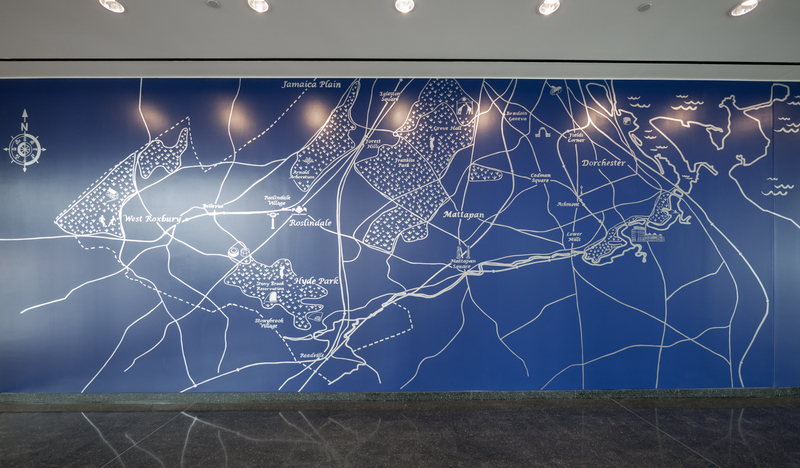 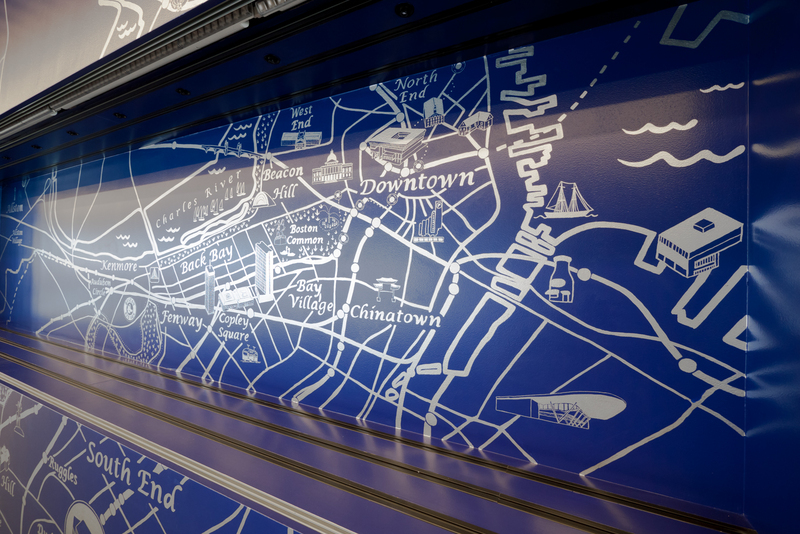 We worked with the designers at Mecanoo to understand their vision and executed a hand drawn map of Boston in silver paint markers. 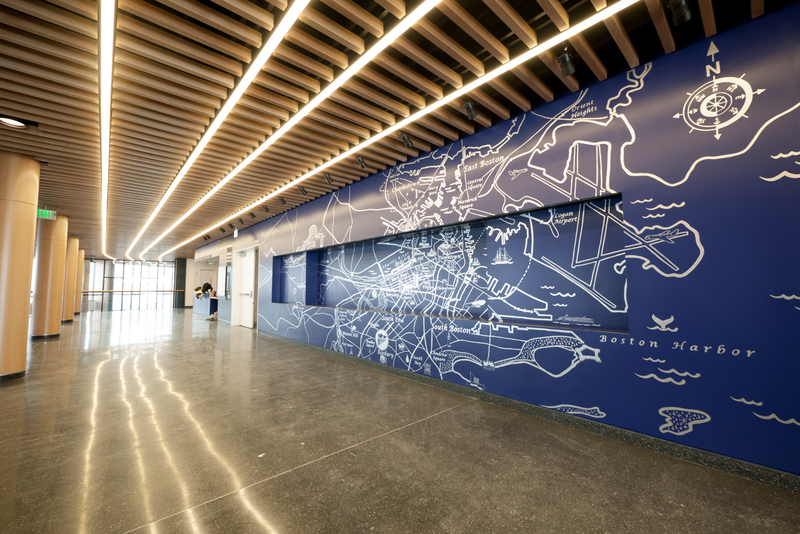 The mural is situated on an interior lobby wall spanning two floors. 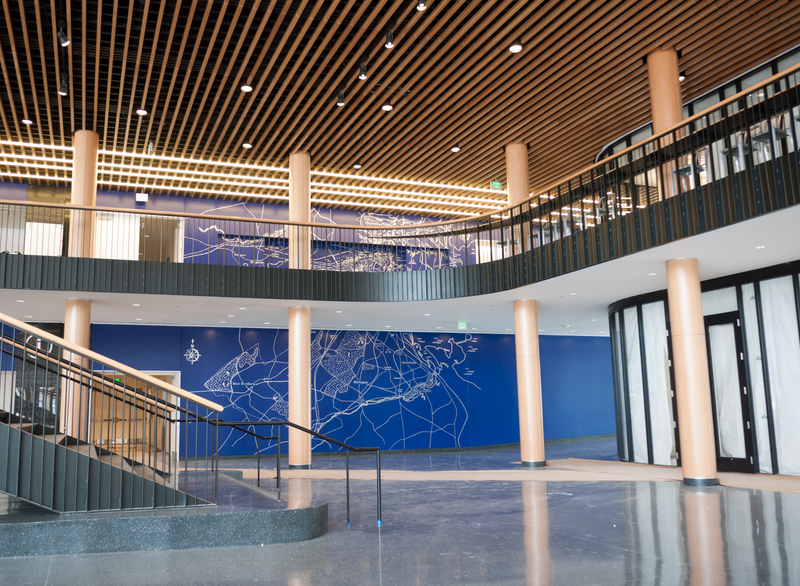 The building and the mural both came out great and will be a great addition to the neighborhood!